AND FOR ZONE 1, HOW TO CHECK STATUS? "NO RECORD FOUND" msg Display after entering all details..
May be the network to which you have submitted the details, might have not forwarded application for porting. If your UPC is old than 15 days and still your porting is not done. Then contact the shop or store where you submitted request. 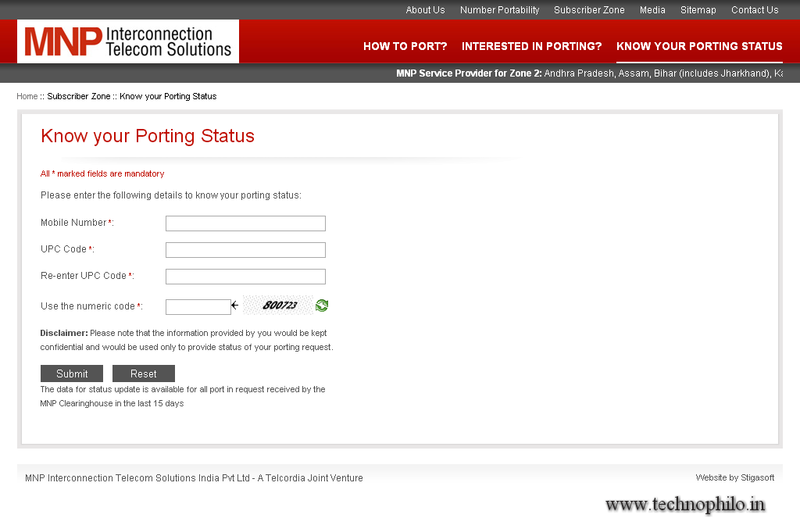 HOW TO CHECK Airtel MNP STATUS? In the same way mentioned above by using mobile number and UPC code. No record fount on 7th day of request. May be your operator has not gave clearance for porting. Also, please see that the website will work only if you belong to South or Eastern India. Did you submit form to new operator to which you want to move? It will be counted from the day you have submitted form to new operator. Displays message 'No Record Found' when I fill up the form & submit. Is there any technical glitch? May be your operator has not gave clearance for porting. Also, please see that the website will work only if you belong to South or Eastern India. Did you submit form to new operator to which you want to move? can i use my sister name/id (for ekyc) to port my "Telenor" number to "Jio" which is registered on my name/id.. as my ekyc is not successful and showing error...? Yes you can, as of now they have not taken your previous eKYC in Telenor. So you can request in the franchisee office to take eKYC of your sister for porting. As JIO just requires the porting id and AADHAR (yours or of your sister or of anyone), you can do the porting. How to check porting status for zone 1 area? Till now no official website to check it. I believe there is no MNP Status availability for Zone 1. I tried so many times but every time above link returns no record. This link works only for Zone 2. Zone 1 there is no way to find it out. It was working previous days, now its not working. 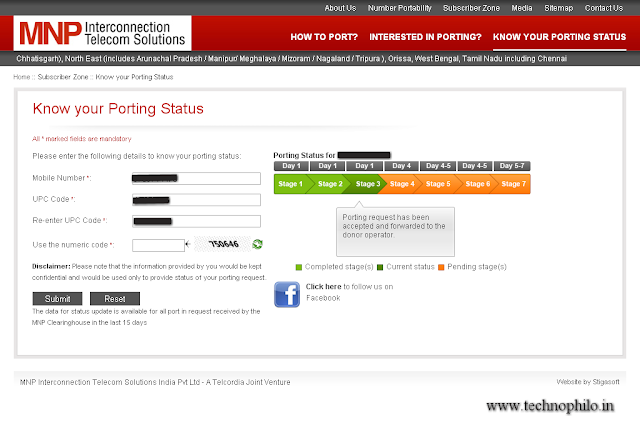 I'm also seeking for site to check my mnp status. I'm also trying to search any sms based service to check the status of my mnp request. It is working. I checked again to confirm. Its working only for Zone 2. I ported out from Airtel.But I missed the call of Airtel executive.They called next day of sending port request.They call to ask why do you want to port etc. Will it affect the process?